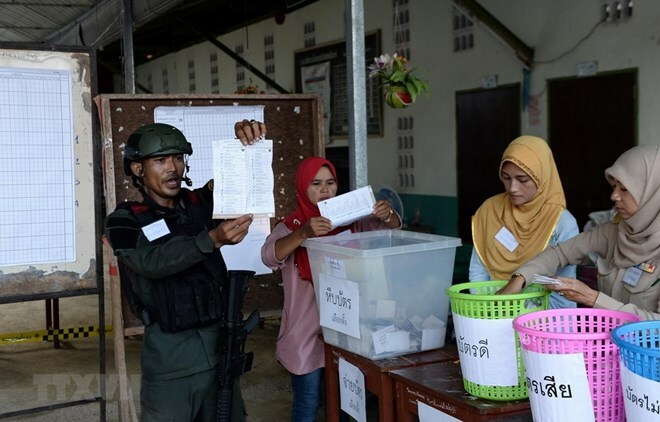 Bangkok (VNA) – Thailand’s Election Commission on March 25 delayed without explanation the announcement of preliminary results of the general election – the first of its kind in the country since a military coup five years ago. The decision was made as a blizzard of complaints mounted over apparent mistakes in the count and possible irregularities at the polls. According to the EC, its computers were hacked and the election saw a massive 1.9 million votes invalidated. The commission said as of 2pm on March 25, 95 percent of votes were counted. It will release the preliminary results on March 29 and the official results by May 9.